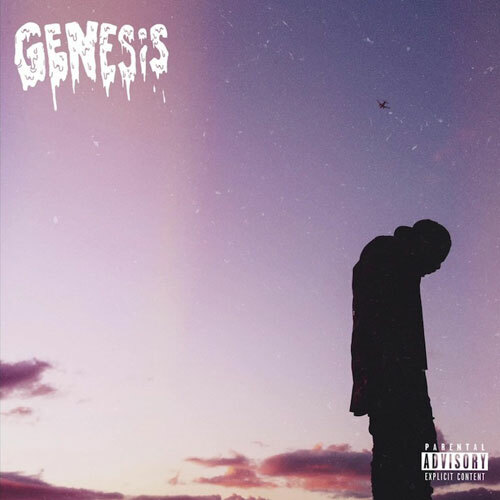 Around this time last week Domo Genesis released his first studio album Genesis. 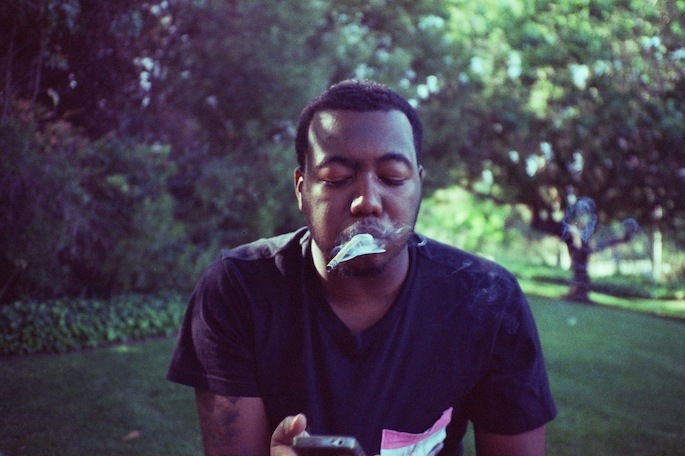 Domo Genesis is a Los Angeles rapper who is currently a part of the Odd Future record label. For those that are not familiar with Odd Future Records, the independent record label was founded by rapper Tyler The Creator and is home to a number of artists as well as one of my favorite groups The Internet. Genesis has had a number of other musical pieces before dropping his first album. Rolling Papers and Under the Influence are two of his earlier mixtapes. He followed both of these up by releasing Mellow High (a collaboration with group Mellow Hype, which he was a part of) and Under the Influence 2. Then, finally, Genesis was released. This is an album filled with boom bap influenced beats. I can easily say that it is different then any of the other rap albums I have heard so far this year. So, let's get into the album. The collective is 12 tracks long featuring two previously released singles and some house hold names like Juicy J, Tyler The Creator, and Mac Miller. The album opens with Awkward Groove, the title being the only awkward thing about it. This groove is accompanied by light hearted vocals and provides a smooth entry into the album. Followed by One Below, this track begins with words of inspiration. Domo Genesis's mother is heard talking about feeling joy and pride when she thinks about her son. His mother seems to be confident in his musical abilities as well as his ability to stay true to himself. Utilizing the flute as part of the instrumental, track two continues with the warm theme. I really enjoyed the vocals and the vibe of Wanderer. The song is just as the title suggests. His lyrics are similar to a steady flow of consciousness. He seamlessly moves from one thought to the other leading up to a hook by Tay Walker. Questions, track four, features vocals by Ms. Kendra Foster with rapper Da$h on the second verse. The whole ambiance of the song including Kendra's vocals give the track an erie and spooky feel. Genesis questions the path he is on in life as well as his place in the world. He wants to know our purpose and to know whether or not we're doing the right thing. I believe that is a universal struggle for us all. We are able to get a glimpse of Domo's vulnerability through this song. My Own features singer JMSN. It's a classic come up story. Genesis expresses his thoughts on having to do things on his own with little support. He had to go through struggles and pay his dues to get to where he is now and continue to get to where he wants to be in the future. In all this he stresses the importance of being aware and knowledgeable. Go (gas) comes in at track number five. The song features Wiz Khalifa, Juicy J, and Tyler The Creator , and was the second single to drop from earlier this March. The instrumental has a subdued clapping beating with a tambourine and what sounds like a retro children's keyboard. The kind your parents used to get for you to put in your toy box. The one with only 16 keys and the C sharp that you can't push in anymore. Wiz takes the first verse followed by Genesis and the single closes with Juicy J. With the addition of Juicy J it's easy to see why this song made it's way to becoming a single with his commercial appeal. Just about any song with Juicy J on it seems to automatically make itself in to a feature. Coming Back features rapper Mac Miller who brings his fluid delivery to yet another track. This song shows Genesis in a place of confidence. He knows that he is where he is supposed to be, doing the thing that he is supposed to be doing, and no one can convince him differently. Dapper, track nine, features jack of all trades Anderson Paak. Dapper was actually the first song to be released from the Genesis project. I'm not sure how much of a hand Anderson had in the production of the song but it sounds much more similar to his style than Domo Genesis. The beat is funky, similar to the r&b/neo-soul style of music we were hearing in the early 2000's late 90's from artists like Musiq Soulchild. The album closes with All Night featuring King Chip, produced by Left Brain. Domo Genesis decides to leave on a more jazzy note, which is quite alright with me. Genesis lets his listeners know that it's his time and he's not going to waste it. You can tell that he really believes this is his calling and he plans to utilize his time and his talent in a positive way. There is no doubt in my mind that this man is determined and any other listener will get the same message. Genesis is available now for download on iTunes. Enjoy.